A few months ago, the sentiment in the industry was that automotive sales might have peaked. The reasoning was that while various automakers kept breaking their performance records, we would soon run out of customers who hadn’t yet replaced their pre-recession vehicle, and thus sales would begin to decline—at least a little—once again. Toyota was expected to take the biggest hit because of its (overstated) reliance on hybrid vehicles, partly because the economy is doing better and people are less interested in economical vehicles, but mainly because gas prices have been so cheap. And as predicted, Toyota’s hybrid sales have suffered; yet month after month, the Japanese automaker continues to experience sales growth rather than the opposite. In November, Toyota Motor Sales USA reported sales of 197,645 units, an increase of 4.3% compared to November 2015 (on a volume basis). Toyota Division sales, which exclude the Lexus numbers, were up 5.3%. 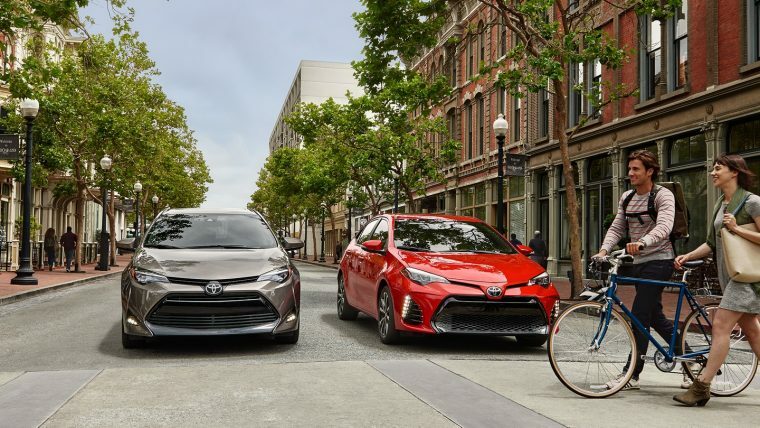 While the hybrids struggled (though “struggle” is a relative term here, as hybrid sales alone reached nearly 15,000 units), the rest of the Toyota lineup thrived: the Corolla posted its best-ever November, light trucks posted their best-ever month, SUVs were up 20%—including a best-ever month for the Highlander and best-ever November for the RAV4—and pickups were up nearly 14%. Toyota did benefit from the fact that November 2016 had two more selling days than November 2015, but even then, it’s clear the automotive king of the hill isn’t about to get dethroned by the American people’s temporary lapse of judgement in assuming that gas prices aren’t going to go back up sooner rather than later.